Unbeaten juvenile Main Edition (2f Zoffany-Maine Lobster, by Woodman) started day four of Royal Ascot in brilliant style when winning the the G3 Albany Stakes on Friday. The two-year-old daughter of Zoffany ran on strongly in the closing stages to score in the six-furlong contest, to the delight of trainer Mark Johnston and jockey James Doyle. "We came here knowing that she is a useful - she had two runs and two wins by her name. We have not got as many two-year-old fillies as colts for some reason this year, but we're very strong in the two-year-old fillies' department and this is one in the leading bunch," said Johnston. 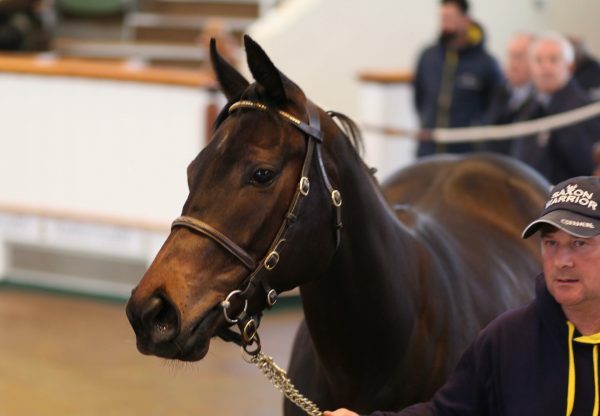 Main Edition was sold by Castletown Bloodstock to Johnston for 62,000gns at the 2017 Tattersalls October Yearling Sale and received a quote of 16/1 for next year’s G1 1,000 Guineas from bookmakers. "It is very early days to talk abut the 1,000 Guineas," added Johnston. "Though we were joking with the owner before this race that we'll be back for the Coronation Stakes after she's won the Guineas! "We'll take one step at a time, we are only in June and obviously we'll think about the G1 Cheveley Park Stakes at the end of the year, but there will be other races before then; we'll just get her home first." Doyle commented: “It wasn't easy for Main Edition from our draw [15 of the 18 runners]. I went straight up where the carriages came down earlier. It was just where I found myself and, with the pressure going on to the ground, it must be quicker anyway. "That was the only advantage I could get as I had nothing to race with and had to do it all on my own. I had such a willing partner today - she was so brave late on. Full credit to everyone at Mark Johnston's and the whole team."